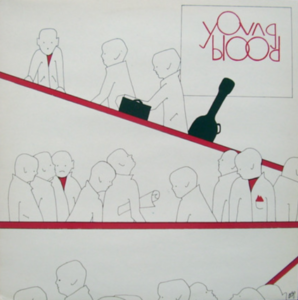 This entry was posted on April 9, 2018 at 6:23 pm and is filed under 1980s, 1984, minimal, minimal synth, peninsula records, post-punk, power pop, synthpop, uk, young blood . You can follow any responses to this entry through the RSS 2.0 feed You can leave a response, or trackback from your own site. WHoa, I’m surprised it took this long for a full rip of this comp to surface, so thanks to you and Thomas for making it available to the public! Pure 80s goodness, tho The Contract is still the top track here. Chances are they did record a full demo tape, so let’s hope that surfaces one day. It’s all about Gettysburg Address for me. I’d put this comp right up there with Subtle Hints. Any ideas where Gettysburg address are from or what other records they have made? Keen….